Interested in the Whoop strap tracker? It’s a wrist tracker that promises predictive suggestions to improve your training and performance. Here’s my review. TLDR: Do I recommend the Whoop? No, if you seek real value for the money. The Whoop doesn’t yet deliver on the promises of its marketing, and costs $180 upfront for the first 6 months ($30/mo thereafter). Yes, if you have expendable income and enjoy testing new gadgets. The strap is progressive and cool but does not yield real insights yet. What do I love about the Whoop strap? The concept of predictive insights is amazing. The sleep suggestions are motivating. The app suggests exactly much sleep I should get tonight to optimize for tomorrow. The daily sleep survey makes me more mindful. The prompts about pre-sleep behaviors probably don’t factor into their algorithm, but remind me to be mindful of factors (like caffeine, alcohol, screens) known to disrupt sleep. There’s a survey for pre-sleep behavior, another to reflect on how you feel at wake time. The wearable charger is a great idea. I am intrigued by the monthly subscription idea (with 6 months paid upfront) – maybe they’ll find a way to be profitable and keep improving with this model. But I have yet to see any improvements to the app or its definite usability flaws. So the recurring charge for value idea is not holding up yet. 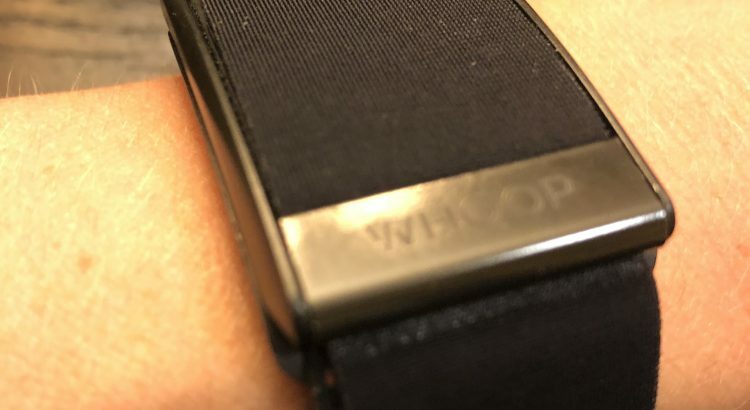 What could be better about the Whoop strap? Predictive insights are not great. So far, I have not found the performance insights to noticeably equate to my actual productivity or energy. This is the key selling feature, and it is not delivered – at least if you’re already healthy and cognizant. Today it says I’m at 37% recovery despite the fact that I slept well, exercised, and feel good today. I also don’t see a difference in my ability to train hard (e.g. bike 3 hours) regardless of this number. I can’t export my own data. They own MY readings – my heart rate data and sleep data. They don’t let me export this data to save it, which is wearables 101. It’s a lock-in to their service with your personal data as collateral. This is not ok. The band is thin and flimsy, although rather sleek. It gets wet when I exercise, and feels gross to wear until it dries. Very unlikely to last 6 months, which means they actually expect me to pay them for another?! Also mine stretched out, and I had to cut it to shorten it. The loose end comes untucked all day long which is aggravating too. The battery only lasts 2 days. Feels like it’s always running out of battery. Sleep accuracy is not great. Sometimes I toss and turn and stay awake, but it says I slept all night. When I get up in the middle of the night, it sometimes only counts the 2nd half as my total and says I got a terrible sleep. This screws up my weekly and monthly averages. Can’t drill in and see details on activity or steps. 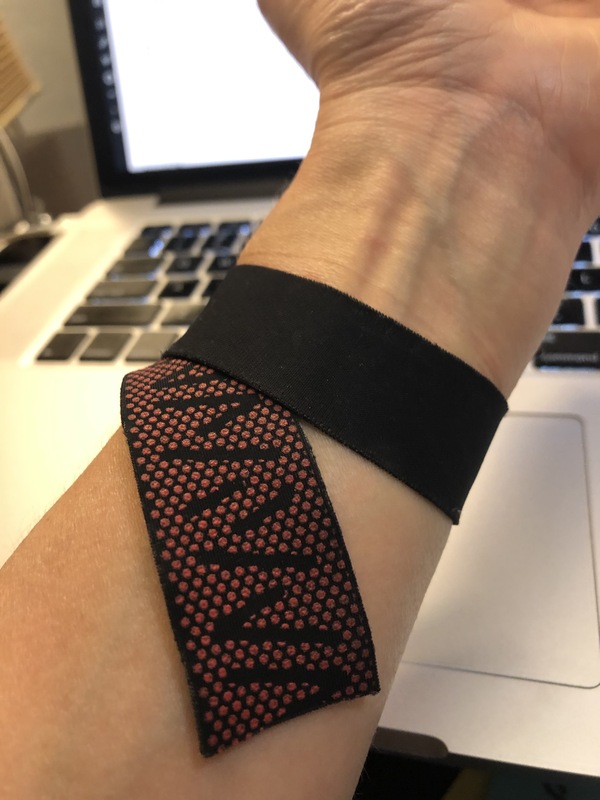 The Whoop Strap passively collects data on your activity, but this doesn’t map to something understandable like steps or movement. Instead they show a proprietary “strain” score number for the day. You can’t see if the band correctly detected that you just walked a mile (and there’s no indication whether it did). It’s frustrating. The band usually does not detect my shorter activity (such as a riding a bike for 15 min, or even walking the dog for 35 minutes) and then it reports that I’ve been highly inactive in my monthly summary. Usability of the app could be a lot better. Took me a few weeks to find where they hide some of the main stats. And even today, I’m still finding screens I might never find again. If you click around, you find hidden data. Clickable elements are not clearly marked. You can swipe up and down, left or right to get to different data. Some is even hidden in elements you have to flip over. Unconventional to say the least. Confusing 100%. Looking at this list, I think it’s safe to say there’s a long way to go with the Whoop Strap before it makes good on its promises. But I’m watching closely, because some of the trends are very intriguing. Clearly they’re looking to deliver a unique product experience, differentiated from being interchangeable with a Fitbit. But meanwhile, my Fitbit is keeping track on my other arm. * I’ve learned a lot about HRV, like the fact that I can’t compare my numbers to yours (too bad) only to mine. I’ve been using Whoop for about as long as you, and agree with pretty much all of these points. The only thing I’d add is that sometimes it seems to give me contradictory advice – on one screen it’ll caution me that I might be putting my body under too much strain relative to recovery, and on a different screen it’ll say that my training has been appropriate for my recovery. I haven’t felt like it’s given me any clear takeaways as to whether I’m overtraining. I am an original founder/backer and have been using whoop for over a year. I am not a professional athelete, but train daily. I find the information usefull and with the Whoop Strap, I have been able to manage my sleep & recovery. The ability to understand the impact ones HRV is invaluable and as a result I have better habbits. While there are some flaws with the device, including the strap itself, there are options. Whoop offers several bands that provide better support for different activities. The Truman band is by far the best and keeps the Whoop securly on my writs without issue. Another flaw is that the whoop itself is plastic and prone to breaking. In fact mine has twice, and each time Whoop has replaced it at not cost; their customer service is impeccable. I dont beleive that two months is a fair amount of time to test this device especially if your are comparing it to a “fitbit” like product, it simply doesnt measure up. Thanks for your comment, SavJr. Interesting about your strap experience. I’ve heard from others they’ve been happier when they replaced the default strap as well. After 3 additional months, my conclusions still hold for my experience.